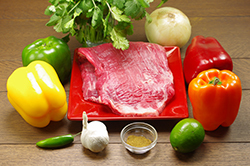 Fajitas are usually made with skirt steak and served sizzling hot with onions and peppers. I’m providing a beef version, but it can also be made with chicken, shrimp, or even firm tofu if you want a vegetarian option. Experiment with your favorite fillings and enjoy with salsa, Chunky Avocado Dip (guacamole), some more chopped cilantro, and/or Mexican crema. 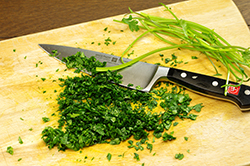 In a bowl, combine the cilantro, 2 tablespoons of the olive oil, the lime juice, serrano, garlic, and cumin. Add the steak and toss until coated. 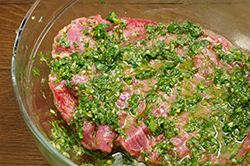 Marinate in the refrigerator for 15 minutes or overnight. 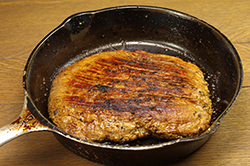 Heat the remaining 1 tablespoon of the oil in a large cast-iron pan over high heat. Add the steak, frying on each side to your desired doneness (if you want it cooked medium-rare, cook for about 3 minutes on each side). 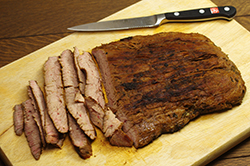 Remove the meat from the pan and set aside on a cutting board, while the vegetables cook. 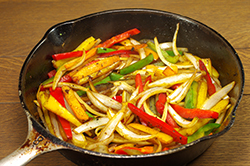 Reduce the heat to medium-high, add the onion and bell peppers, and sauté until the onion is translucent, about 5 minutes. Remove from the heat but leave the vegetables in the pan. Cut the meat against the grain into thin slices. 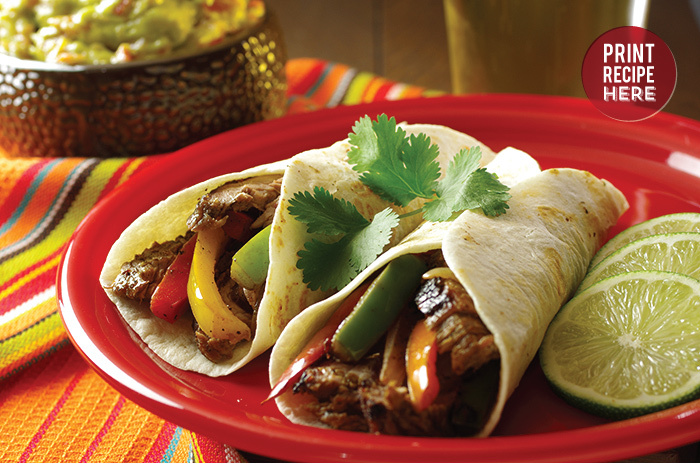 Put it back in the pan with the vegetables and serve immediately with warm tortillas. Recipe adapted from Quick & Easy Mexican Cooking by Cecilia Hae-Jin Lee. Copyright 2011. Published by Chronicle Books, San Francisco, CA. Reprinted with permission of the publisher. All rights reserved.